When Onerent chose to expand into Los Angeles, we did so by first carefully considering the current state of the rental market, its problems, and the opportunities. Housing is a sensitive issue in the City of LA, with much pressure on the future of its stability. Our team is living the rapid growth of rental markets such as Seattle, San Francisco, and San Jose, so we found LA to be an exciting challenge and opportunity. Our goal is to bring a simpler, more efficient and affordable process to all aspects of renting and managing a home. After months of market research, we found a clear need for this simple solution for owners and renters in LA. Over the next three to five years, we will witness a Rent Revolution in LA. Los Angeles is a huge market with 65.3% of residential dwellings falling under the rented category and 7% vacancy according to Fortune Builders.This year, the rental market is poised for further growth due to increasing inventory, decreasing unemployment, new jobs and increasing population density. The number of rental listings have steadily climbed to 1767 this year compared to 804 last year according to Trulia. Rents in Los Angeles increased 4% in 2017. Renting in LA is fraught with accelerating prices, outdated rental platforms, and an expensive and time consuming process. Homelessness is on the rise, hitting 57k people in 2017. Housing remains to be the largest chunk of everyone’s income spent. After hitting a milestone 4 million in population, it is only now that a potential light appears on the horizon of the housing debate. 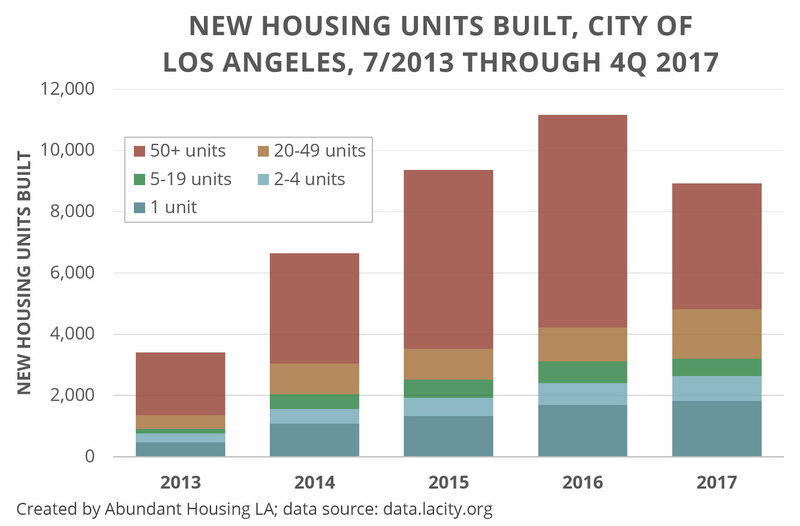 As supply struggled to keep up with aggressive demand for housing, Mayor Eric Garcetti proclaimed a goal in 2014 for 100,000 new residential units to be added by 2021. 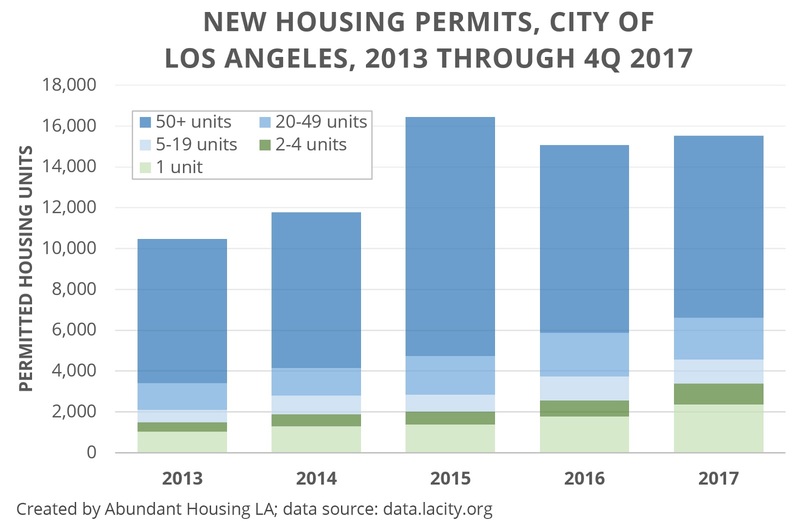 According to Abundant Housing LA and public data from the city of LA, housing permit numbers were higher in 2017 than in 2016. Building permit numbers are also currently outpacing their goals as of the fourth quarter of 2017. New inventory means demand and supply reach closer to equilibrium given relatively consistent population and density. While LA is predicted to remain the largest county in California for the foreseeable future, the population growth rate has slowed to 0.69% as of 2016 compared to 2.65% in 2010 and 6.01% in 2000. Now while it is promising to see the rising numbers of new development projects, Abundant Housing LA also noted that the number of Certificates of Occupancy (CoO) is tracking behind schedule. This would represent how many homes are actually habitable and fit for use. The discrepancy between CoOs and housing or building permits reveals an exciting opportunity in Los Angeles for 2018-2021. If you consider a 3-yr rough average time frame on many developments in the residential class, we can expect an increase in Certificates of Occupancy in 2018 and beyond. This means more homes available for renters and more controlled growth in rental prices. 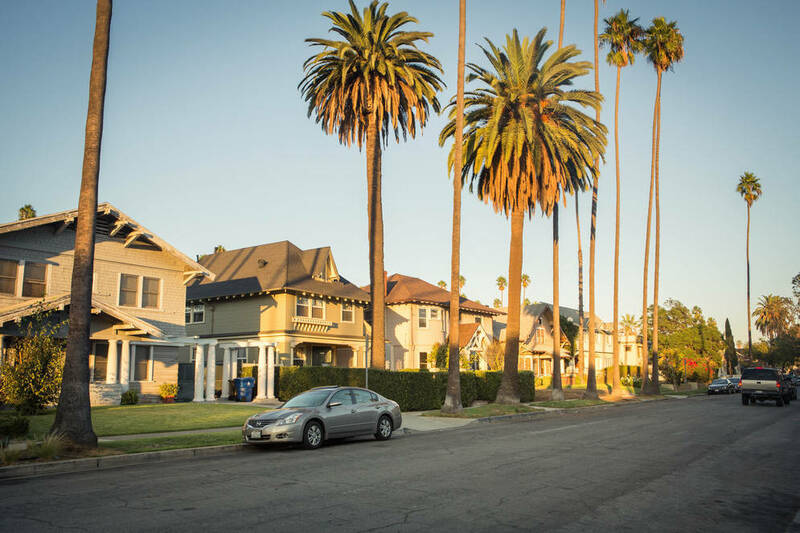 Given the fragmentation and inconsistencies in LA’s rental market, we believe the region will experience a revolution in the rental market over the next five years. Onerent is uniquely positioned to lead a part of this Rent Revolution with a radically new, complete, and easier approach to the rental experience. 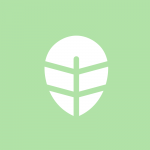 Our differentiator is our strategic blend of a technology platform and our on-demand local service. Our promise is to remain a full-service operation with a human touch. We won’t sit by the sidelines in the internet to watch the revolution happen from a distance. Starting in 2018, renters now find dream homes, qualify and sign a digital lease in just a few easy steps online with Onerent. Start by browsing listings for free to find the perfect fit home. This is where it gets different: Enjoy free on-demand showings 7 days a week at fully-verified listings. With a team of dedicated mobile managers always on the go, you enjoy a easy and personal showing process. Onerent’s quick and fair applicant screening process ensures equal opportunity. You can finish Onerent’s free online rental application on your phone during a showing and sign a lease by the time you get back home. Move-in can be scheduled at your convenient time. 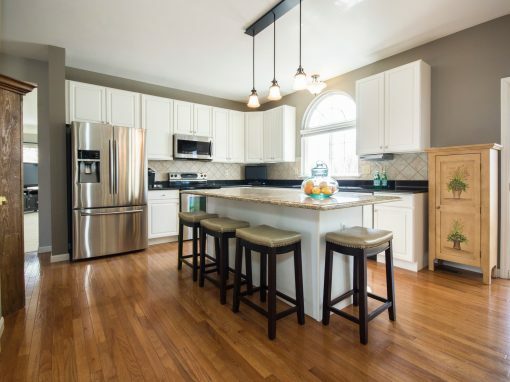 A full move-in inspection is conducted to document the property’s initial condition. This is made possible by the careful combination of Onerent’s integrated platform and boots-on-the-ground approach, going over and beyond for the best experience. As a renter, you can expect more options on the table as listings on Onerent are priced fairly and offer the best value for money. For property owners, our leasing and management services simplify all the steps while keeping you informed and empowered to make decisions on your investment. Start with a free rent estimate to get an idea of how much you can earn in passive income on the property. 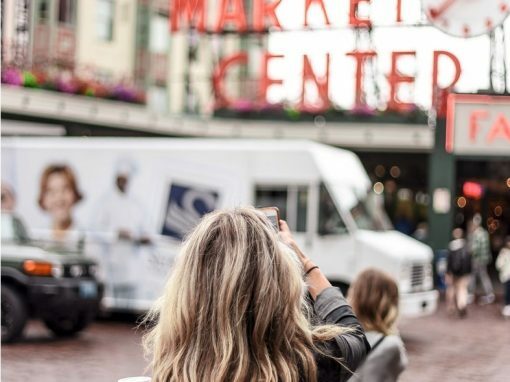 If you’re ready to rent, get set-up with an on-demand property walkthrough with our professional Field Operations team. We’ll take HD photos, and capture the full information and health report of your investment property. The property is then listed free of cost on 40+ top listing sites by Onerent. 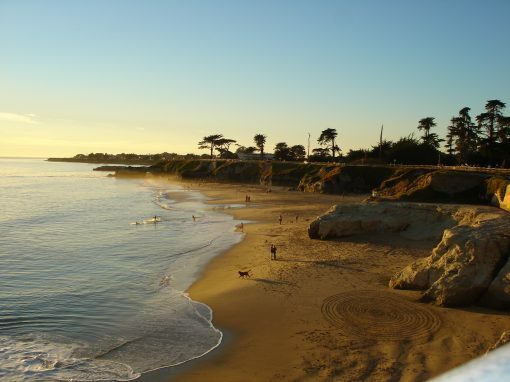 Showings of the property are handled by Onerent’s mobile manager team 7 days a week. Our instant responses to listing inquiries keeps the buzz around your property alive. A fair applicant screening process is done to guarantee the best renter. You can experience transparency through the Owner Dashboard. Rental comparison reports provides you accurate information through advanced data science on how the investment performs. Real time maintenance updates and 24/7 maintenance support makes sure all concerns are handled efficiently proactively and transparently. The services of Onerent stands out from others through merging of technology with responsive, personable service, renting out properties at record speed with high quality Renters, providing a unique service for half of the traditional costs with no markups or add on fees. With over 2000 doors managed in 2 years, and 20,000 renters served, Onerent is committed to rapid application of its vast experience and learnings derived from its domain in San Francisco, Seattle and San Diego to make Los Angeles one of the best places to live easy. With the help of our new Mobile Manager workforce in LA, we’re already seeing quick leasing times, high quality renters, and high demand from rental owners looking for a unique service at half the cost of traditional managers. Our first properties in LA leased in 3, 7 and 12 days–beating market averages by nearly double that shows that the easy rental experience with Onerent is loved in LA. Team Onerent writes and curates insightful real estate articles from the point of views of our entire publishing staff. Newsworthy topics regarding company and industry news are written by our team that we believe are worth sharing. 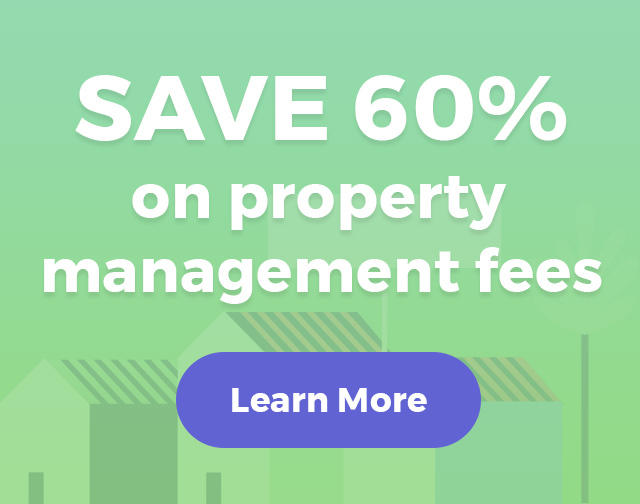 Team Onerent of the blog represents Onerent Property Management who provides a hassle-free rental service compared to the traditional property manager. Through a combination of automation and the careful human touch, Onerent’s technology enables its team to provide on-demand showings, instant renter screening, AI-powered leasing data, proactive maintenance, guaranteed rent payouts, and 24/7 support.